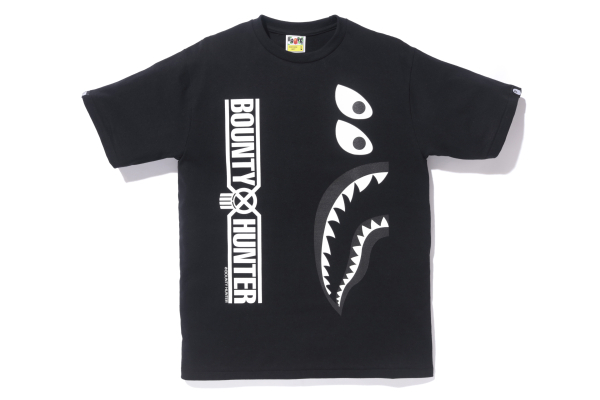 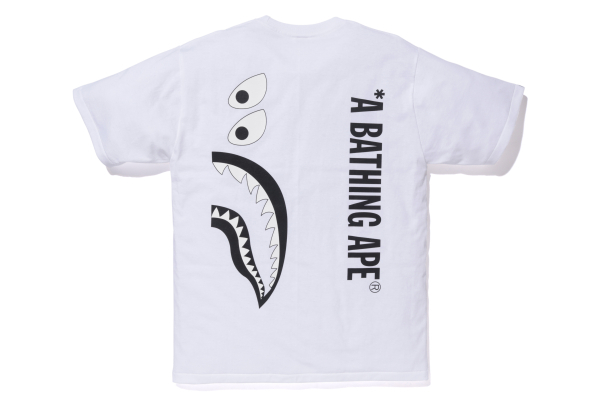 A BATHING APE and BOUNTY HUNTER who many may know as one of the originating streetwear brands from Harajuku, are teaming up for their third capsule collection. 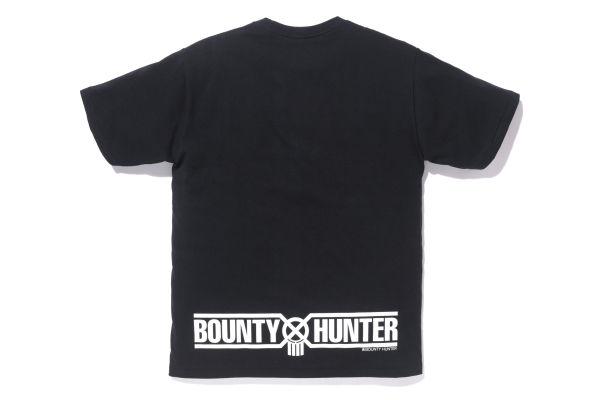 Keeping it simple, the collection consist of a black hoodie and two different t-shirts available in black and white. 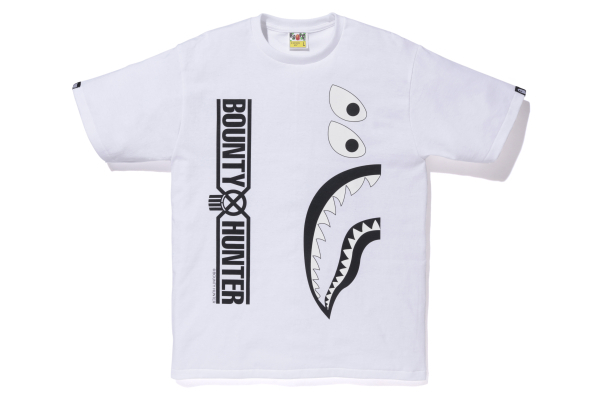 All the items are sporting BOUNTY HUNTERS own spin on the classic shark design making it a "Mad shark".